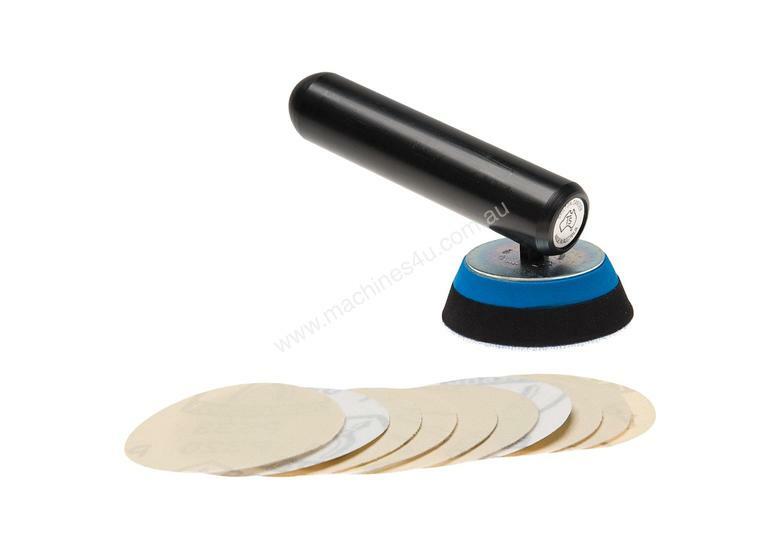 This sander has a handle made from hard plastic making it light, durable and affordable. Attached to this are foam backed sanding pads mounted on ball bearings. These spin freely with just enough give to conform to the inside of bowls. Supplied standard with a 75mm head. 50mm head available as an optional accessory. Heads are hook & loop backed. Made in Australia. 50mm and 75mm abrasives available in various grits as shown below; sold in packs of 25. Carbatec Sanding Sleeve 2 grit 150#"